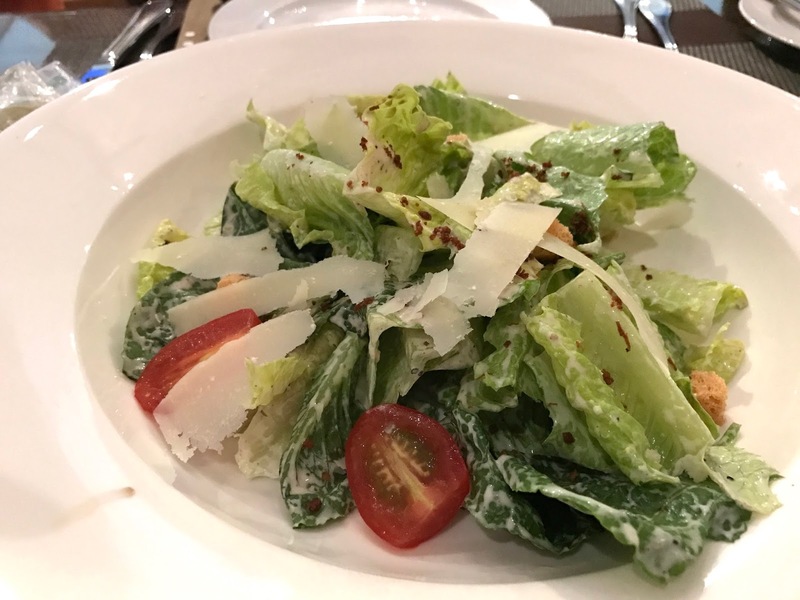 Following on from the previous post of our mini break at Gold Coast Hotel, here's a post dedicated to all the amazing food we managed to work through. At one point, it felt like all we did on this mini holiday was eat non stop! 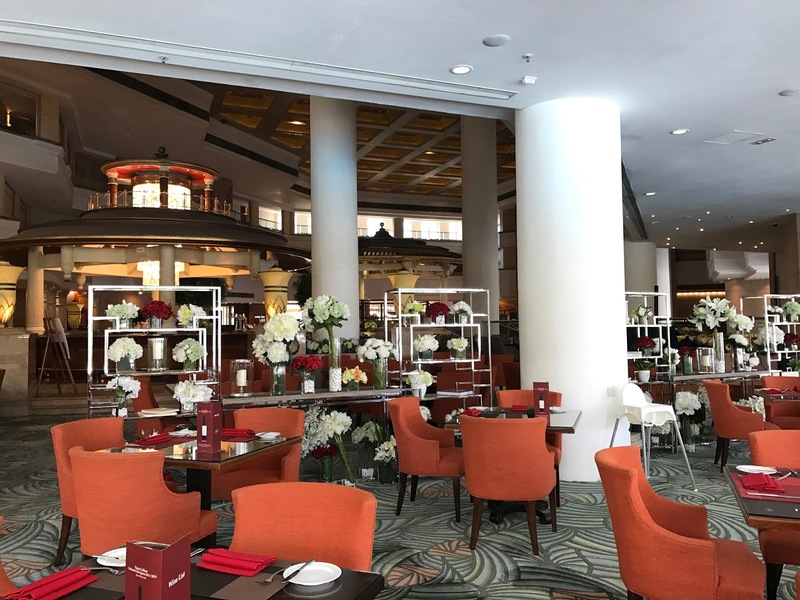 There are 5 restaurants inside Gold Coast Hotel and we dined in 4 of them during our stay. 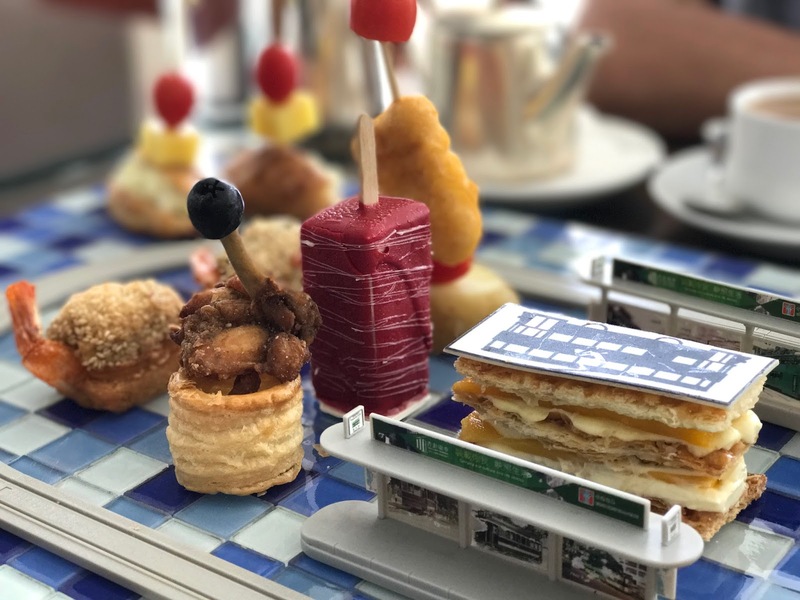 The food was especially outstanding in Satay Inn and Prime Rib, and we thoroughly enjoyed the delightful Hong Kong tram themed afternoon tea set that Gold Coast hotel prepared for us. 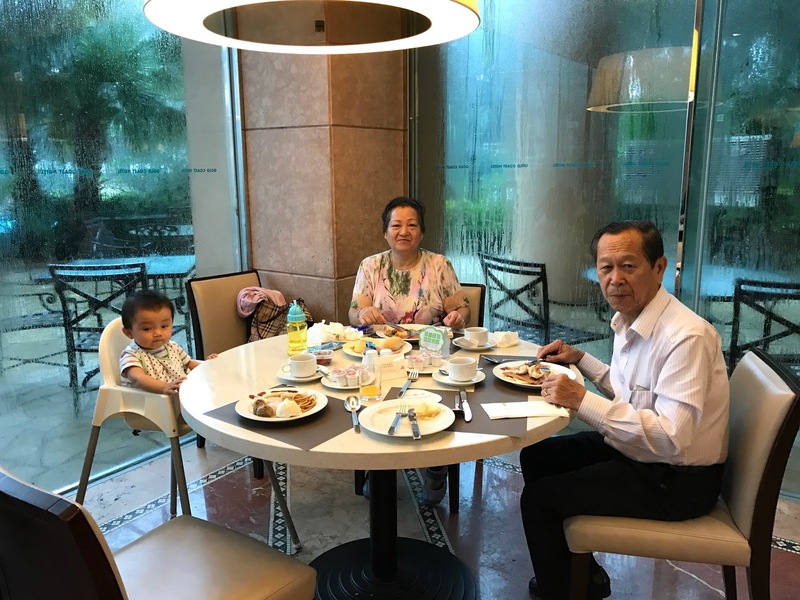 My parents also enjoyed their very first breakfast buffet at the hotel. In house guests can sign the bill to their room and get 10% off. 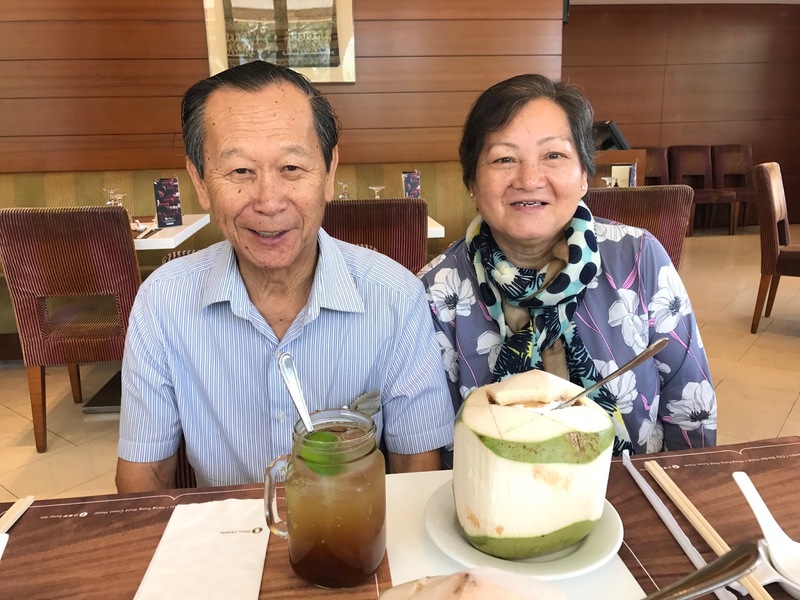 Mum loves ordering a young coconut drink when she's dining out and dad said his kumquat soda was delicious. We only ordered a few dishes to share for lunch since we had afternoon tea waiting for us in a couple of hours time. 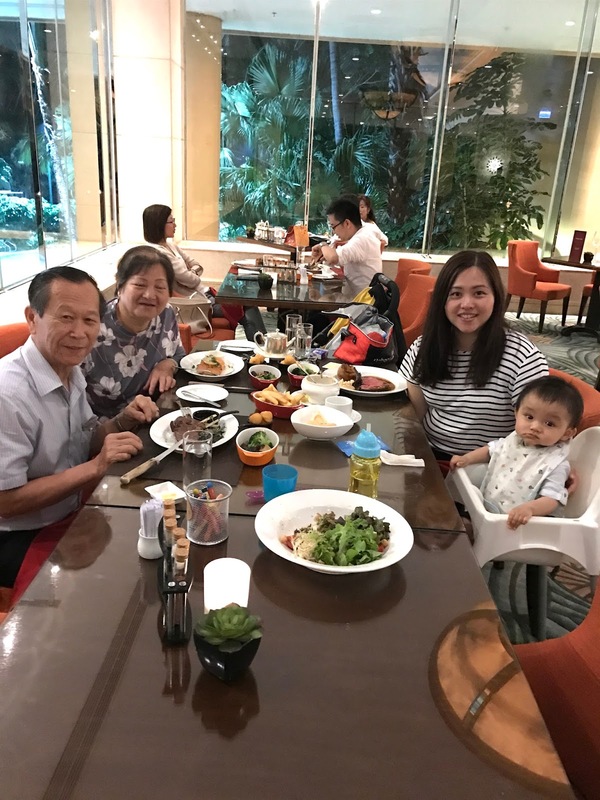 Dad was especially keen to try the Hainanese chicken rice as he's never had a good one before. 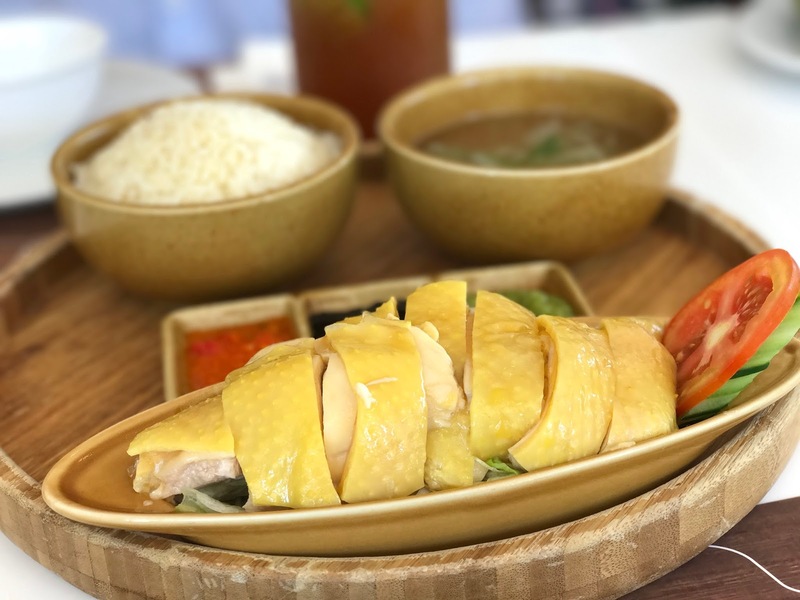 Satay Inn's version was excellent and completely satisfied my dad's quest of authentic Hainanese chicken rice. The chicken was super silky and succulent with a mild taste of ginger and spring onion. The rice was full of fragrant chicken fat and garlic, and the holy trinity of sauces were spot on. You can't eat at a restaurant called Satay Inn and not try their satay right? 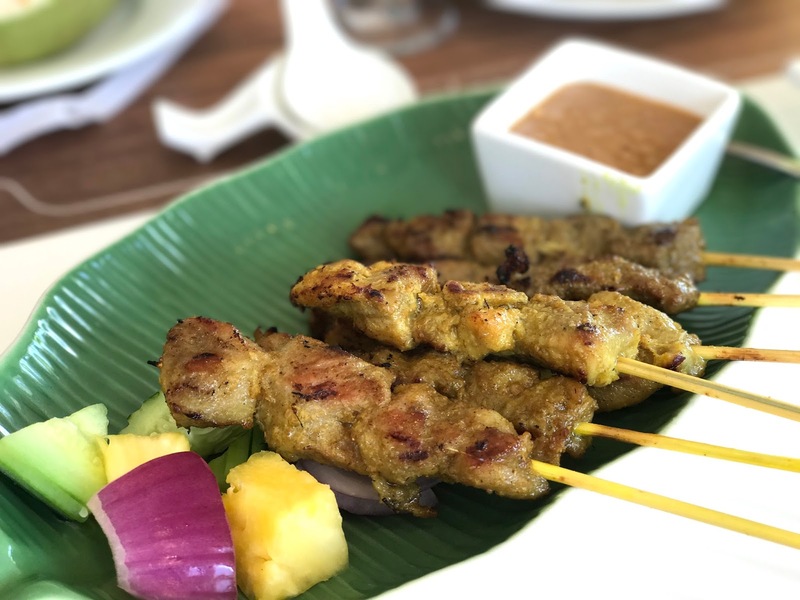 We got a selection of beef, pork and chicken satay skewers and they were gorgeous. A little chargrilled smokiness, flavourful meat and a good satay sauce. I dislike overly sweet satay sauce and this one had the right balance of sweet and salty. Plain stir fried mixed vegetables sounded so simple and boring yet this little plate here blew my mind. The flavour was so subtle yet had a complex layer of flavours going on. It got dad and I trying to pinpoint the condiments used and wondering how they could make veggies this damn tasty. 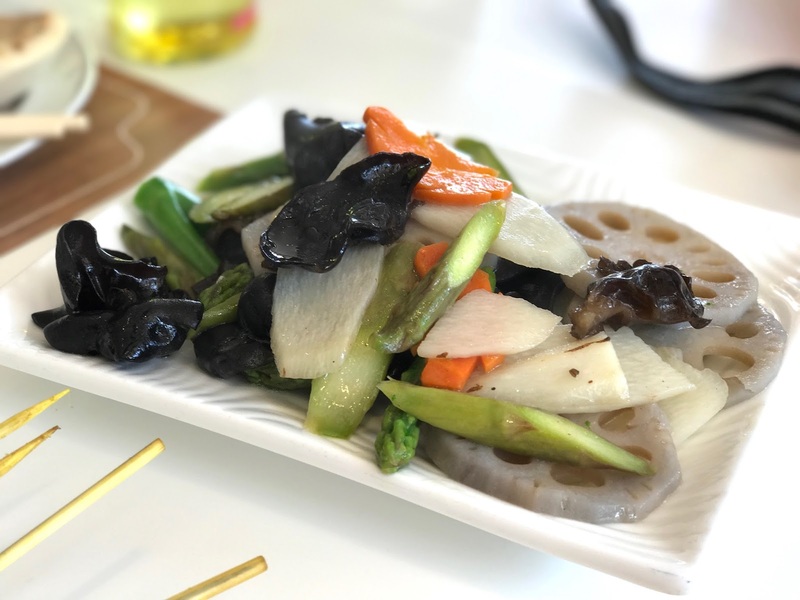 The selection of lotus root, cloud ear fungus, Chinese mountain yam added to the dimensions of this dish. Carrots and asparagus were also a part of this veggie party. The roti's were nice and flaky, and doughy too. It was a real shame they don't serve this with curry sauce though. Our bill came to around $520 (£52). We had barely digested our lunch and it was time for our afternoon tea. 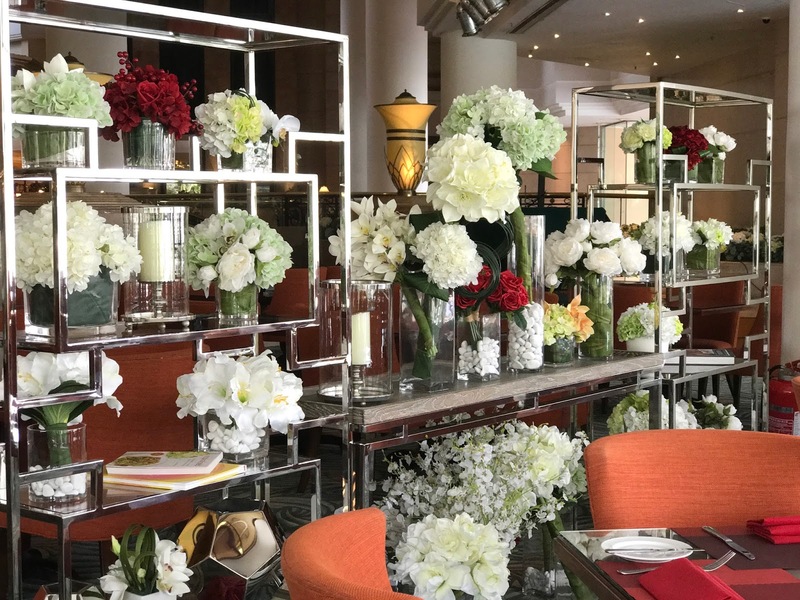 The lobby lounge has a lovely relaxing ambience and the silk flowers displays are elegant and stunning. 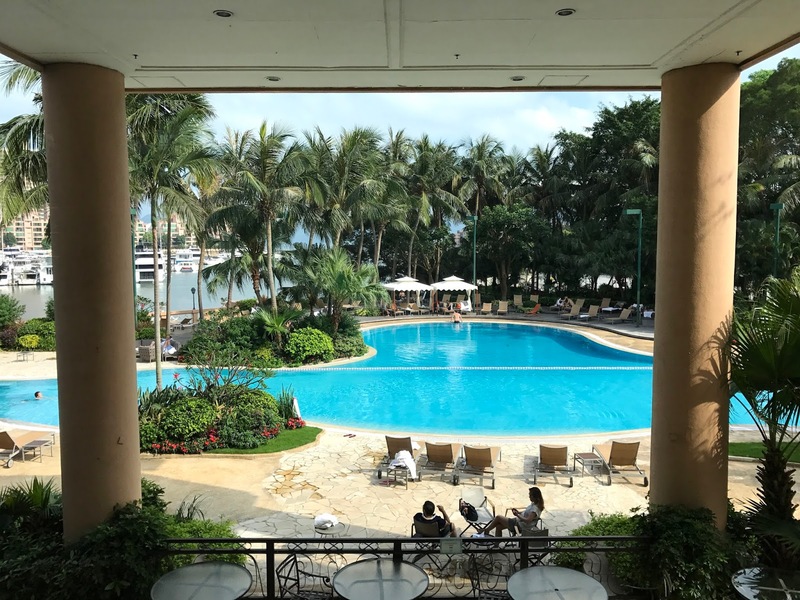 We are seated at a table right by the window overlooking the pool and the view is just amazing! I felt like I could have been anywhere in the world at that moment. The pool is long and goes all the way round on the left. To the right side of this photo is the kids pool with slides! 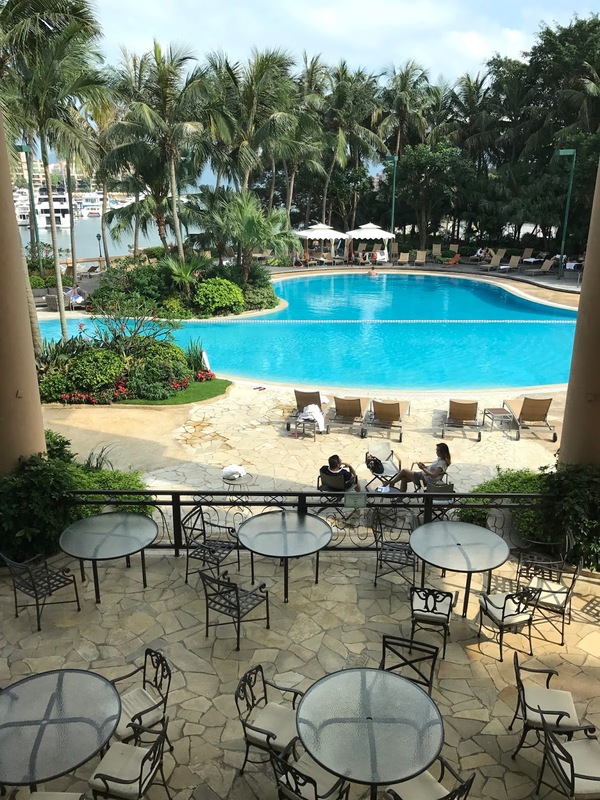 I am gutted we didn't get a chance to use the pool, which has been newly refurbished, so I will definitely have to go back next time I'm in Hong Kong. Isaac is given a kids dining set a balloon that expands when you clap it hard between your hands. Super fun! Just look at that. We are absolutely gobsmacked when they brought it over, we didn't realise it was so big and magnificent! The tram theme completely represents Hong Kong and there's a sort of wonderful nostalgia about the whole design. The choice of food amplifies that and completes the whole experience. The cute toy tram whizzes round and round the track and Isaac is in awe, trying to grab at it each time it got near to his little hands. 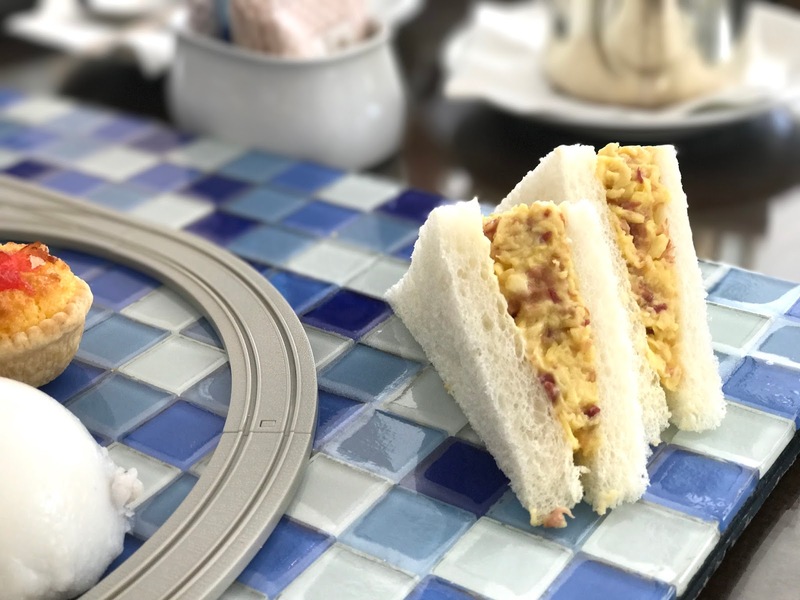 Corned beef and scrambled eggs sandwiches were delicious and something that is easily ordered in Hong Kong cha chan teng cafes. 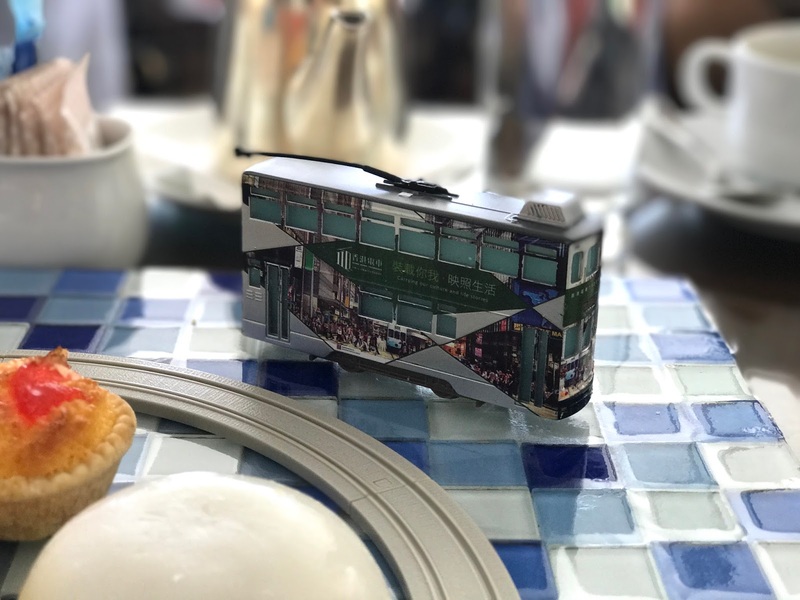 If only they had added in spam and egg sandwiches, which are a classic Hong Kong food! 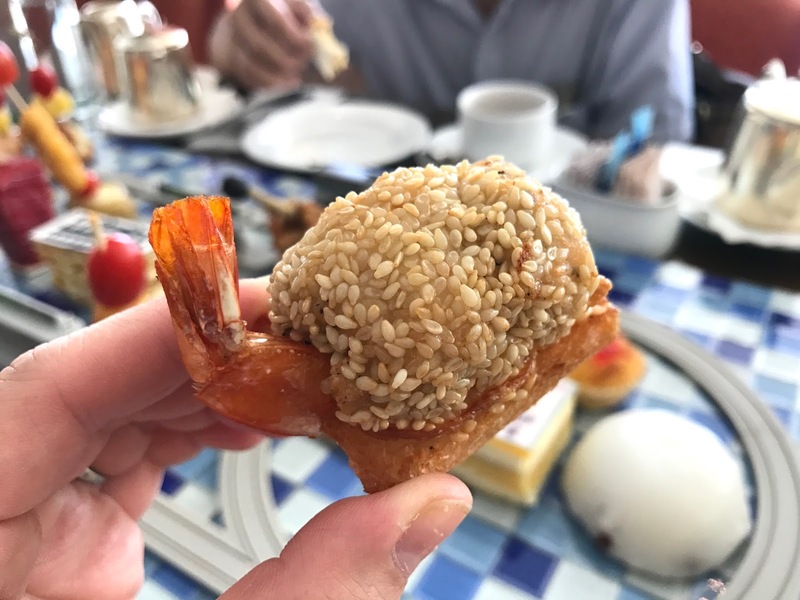 The crispy prawn toast was good, as were the puff pastry with fried chicken nestled on top. The pork chop buns were a great idea but a little on the dry side in reality. Some of the other savoury bites were a bit of an odd pairing like the potato and chicken nugget skewer, and the dry, tasteless chicken and potato stuffed croissants. Moving onto the sweets, the lychee mousse lolly and mango mille feuille were outstanding. 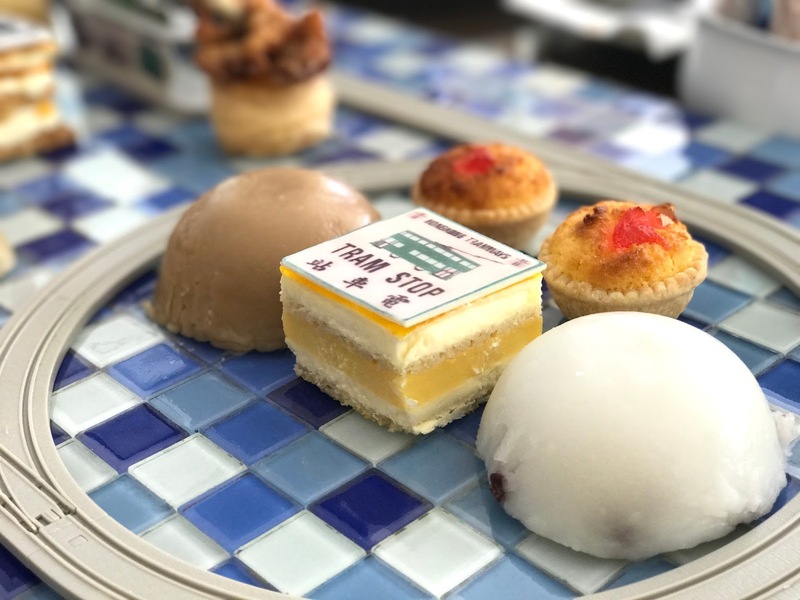 Lychee and mango are such favourited fruits by local Hong Kongers and I'm glad to see them work this into the afternoon tea using Western baking methods. 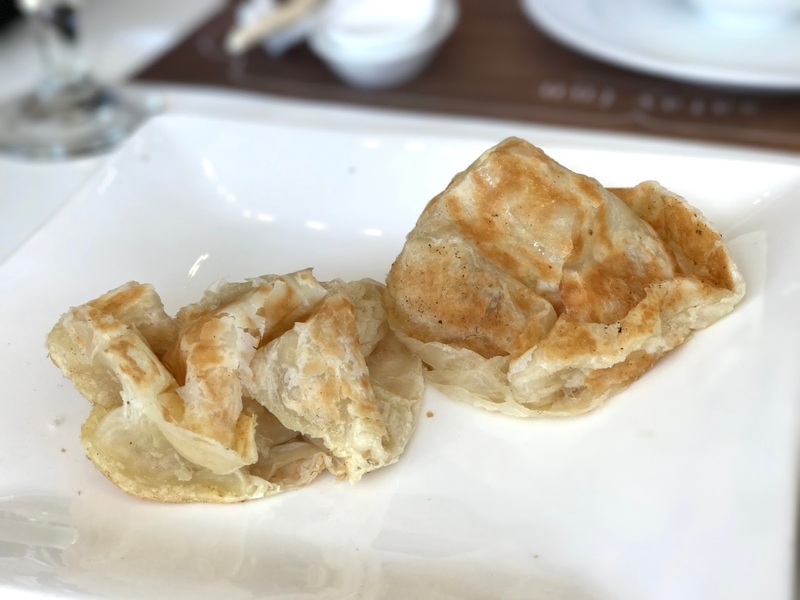 And another Hong Kong classic of bowl pudding, aka bute jai goh (the brown and white mounds) had such a rightful place here. Unfortunately, it didn't deliver on the taste and texture department much to my disappointment since it's one of my favourite sweet treats. The mini pineapple buns with a slab of butter in the middle is another great classic that tasted awesome. The coconut tarts and the mango dessert were pleasant and again were good additions to the set. Whilst some of the bites on here were a let down, there's no denying that this afternoon tea is simply a stunner and I would 100% come back to have this again. They got me when it brought back feelings of nostalgic Hong Kong. 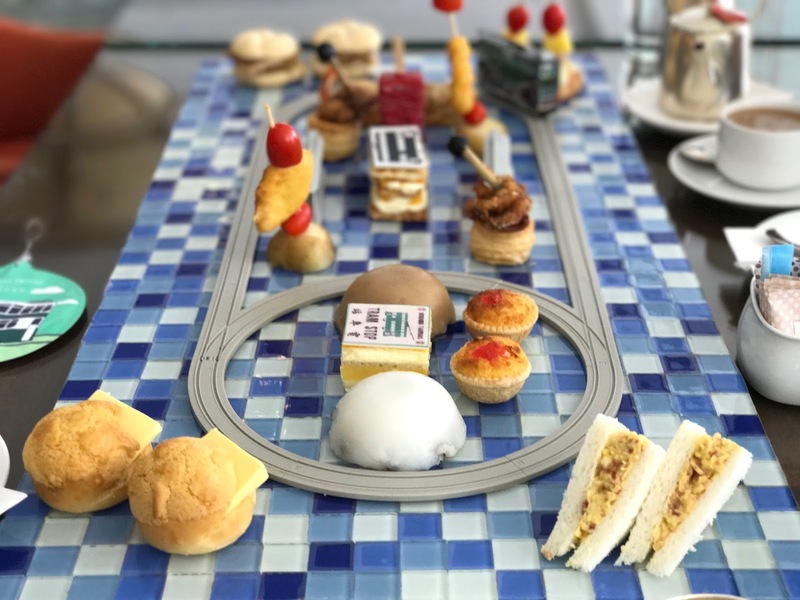 The tram themed afternoon tea is Gold Coast hotel's signature afternoon tea set and needs to be ordered in advance. This was plenty for 3 adults and cost around $480*. Isaac enjoying the lovely views. Still stuffed from afternoon tea but dinner rolled round in no time. We'd had a lovely stroll on the beach prior to dinner, so at least we walked it off a little before eating again. We sat back on the same table we had for afternoon tea and went through the menu at Prime Rib. 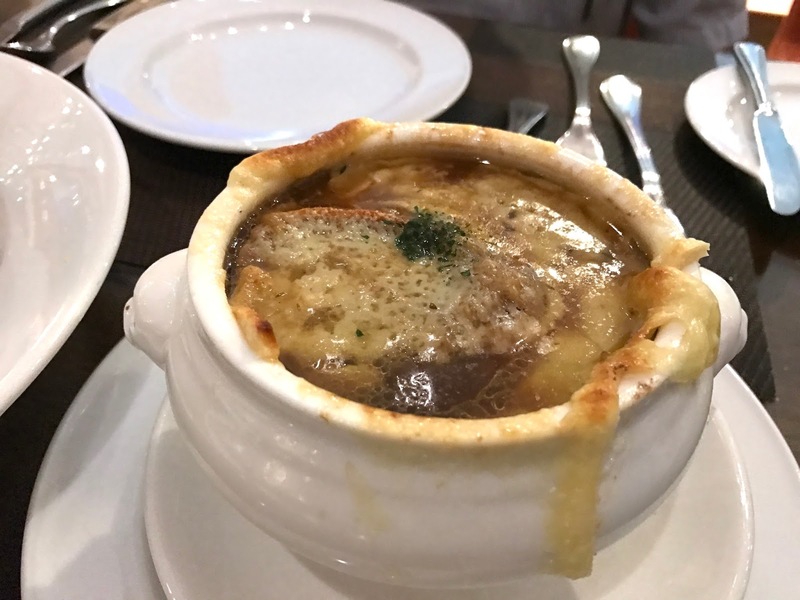 For starters we had 2 salads and a French onion soup to share. The soup was so good. Rich, savoury, a little tangy and so full bodied. 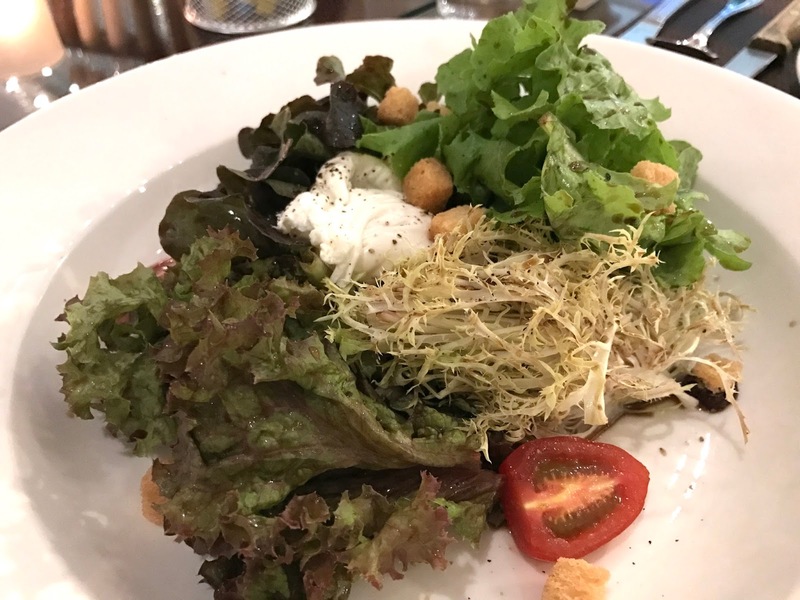 The salads were well made Western salads and not a local Hong Kong version. 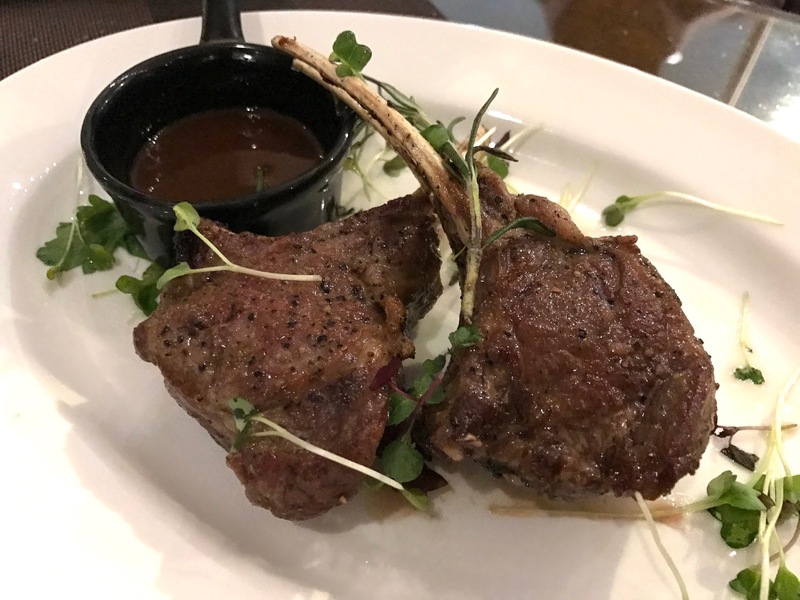 Dad went for the lamb chops, mum had salmon and I chose the prime rib of course. My parents don't eat raw food, so declined trying my rib which was just heavenly. I'm told it's the same cut as rib eye but with a rib attached. No wonder it's so good. Meaty with the right amount of fat distributed over it and sauce complimented it perfectly. Mum's salmon really didn't look that interesting but I eventually tried some after some persuasion from her and I'm so glad I did. She'd asked for it to be well done so I thought it would be dry, but it was cooked to absolute perfection. 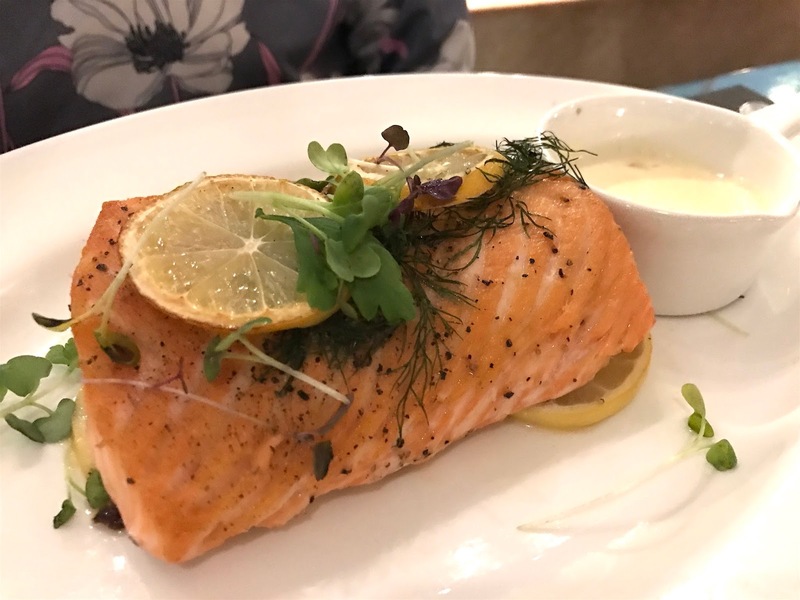 The salmon flesh was still silky and succulent and tasted so good with the butter sauce. Wow. The sides that come with the main plates are worth raving about alone! 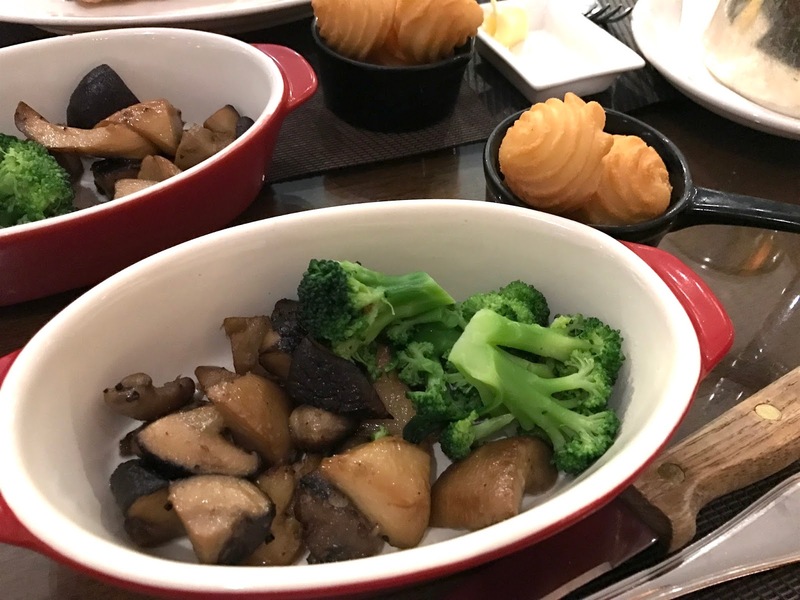 I've never had such delicious mushrooms in my whole life. They were smoky, meaty and had a little chew and crunch in them. The potato swirls are salted mashed potatoes that have been deep fried. So, so good! We'd also ordered some triple fried chips and they were exceptional too. 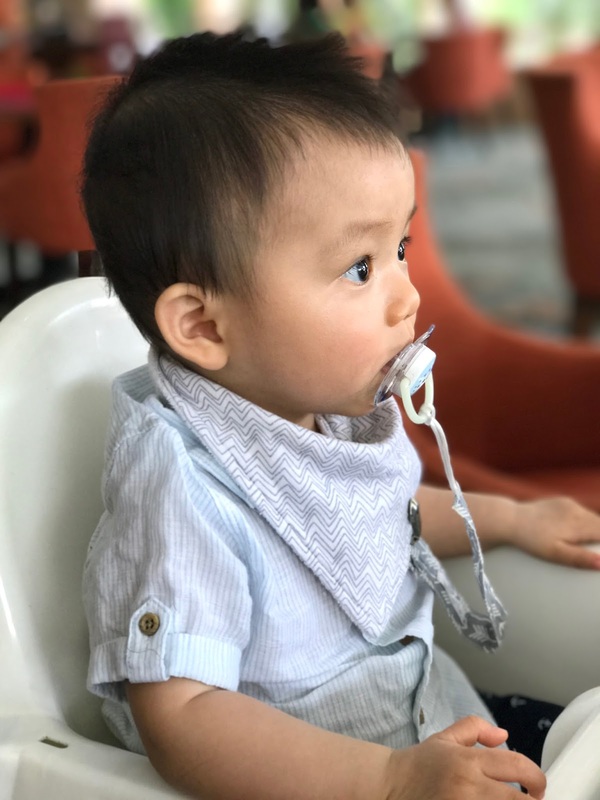 he loved all the meals we ate at Gold Coast hotel. Now, that really is something. 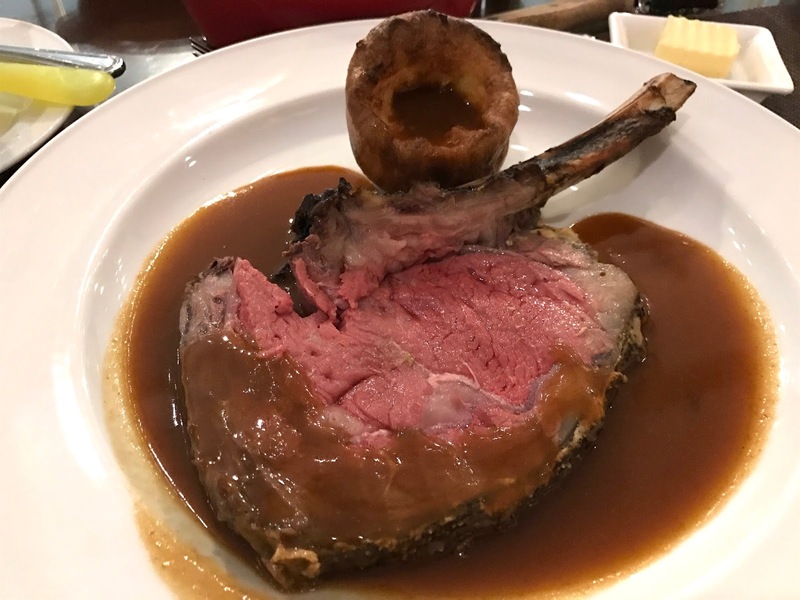 We all loved our meal at Prime Rib and we really were done with the evening after the enormous amount of food we consumed. This meal was around £120, an absolute bargain for the quality of food. 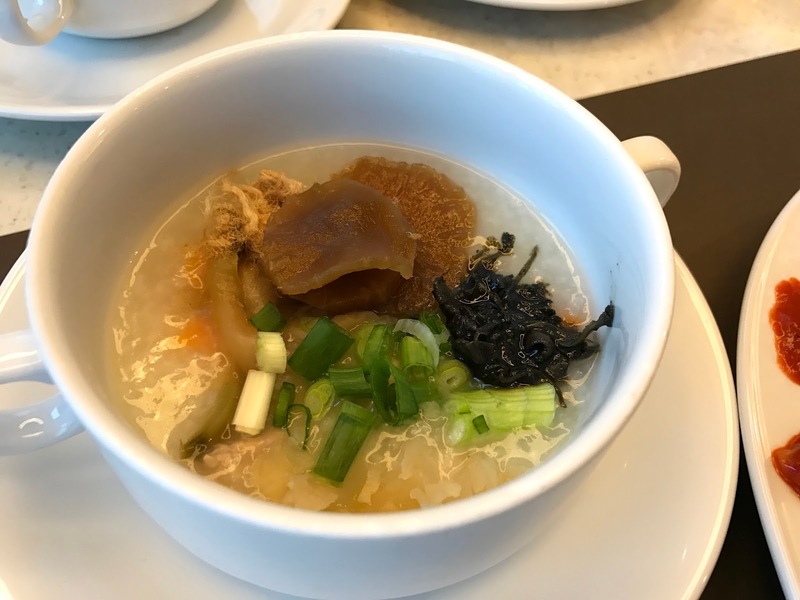 A meal like this in the central areas of Hong Kong would easily have cost £250-£300. I was debating on a choice of breakfast buffet or taking Isaac for a swim since we didn't get the chance to do it the day before, but the heavens had opened and just poured and poured with rain. 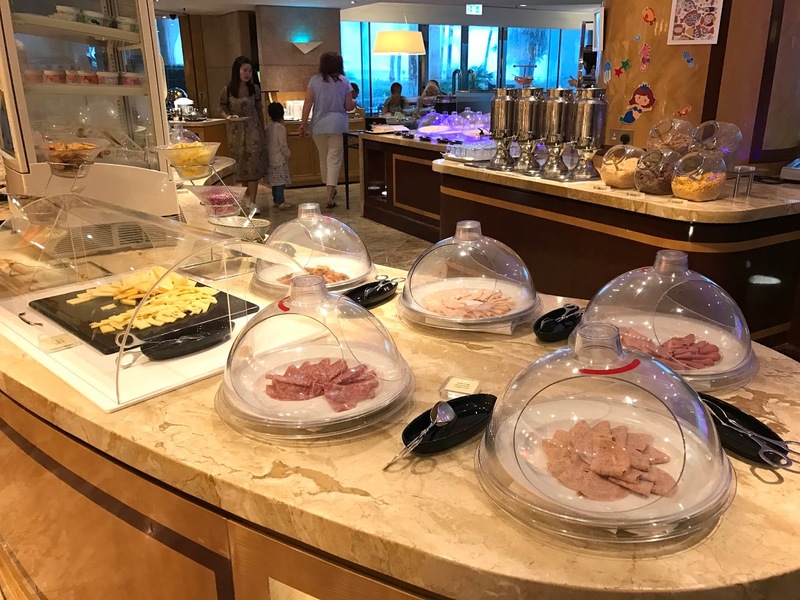 OK, breakfast buffet it is then. 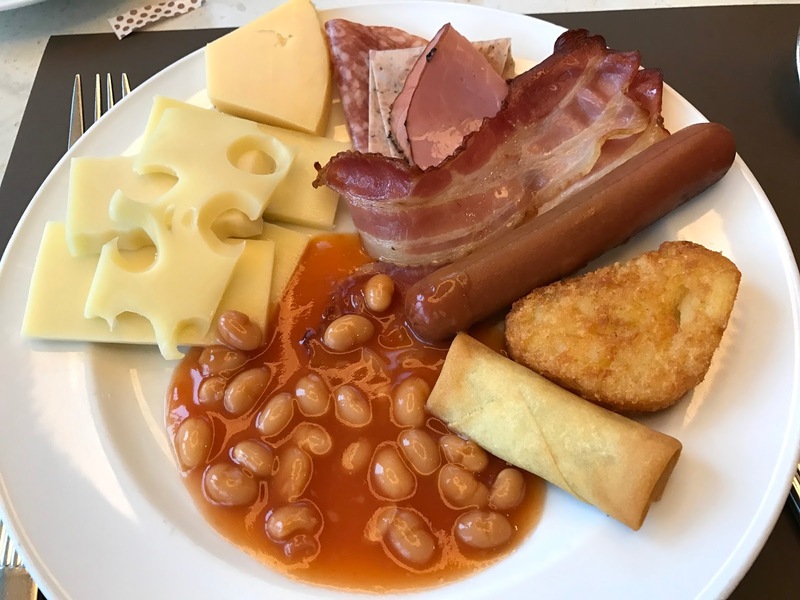 My parents miss life back in UK now that they live permanently in Hong Kong, so English breakfast was the first thing they went for. 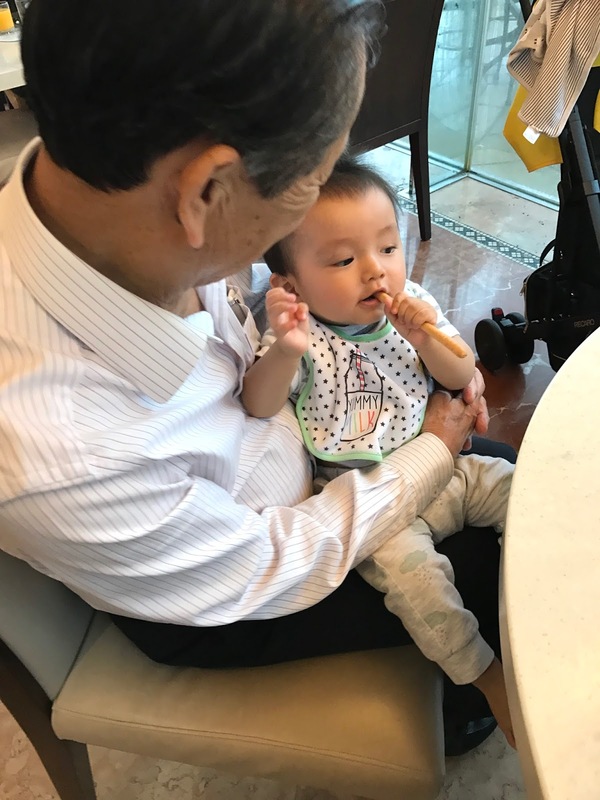 My dad enjoyed his so much that he didn't bother eating anything else! Dim sum and congee on round 2. 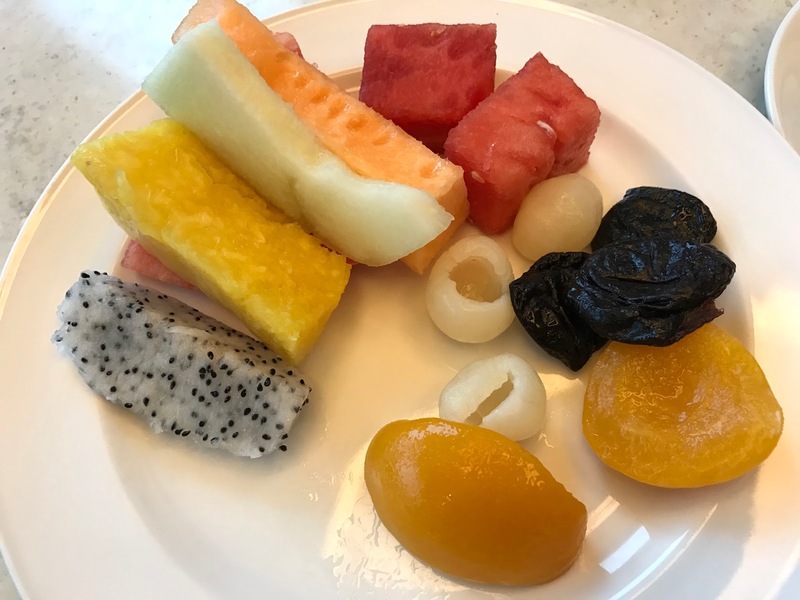 Fruit platter for me and mum. 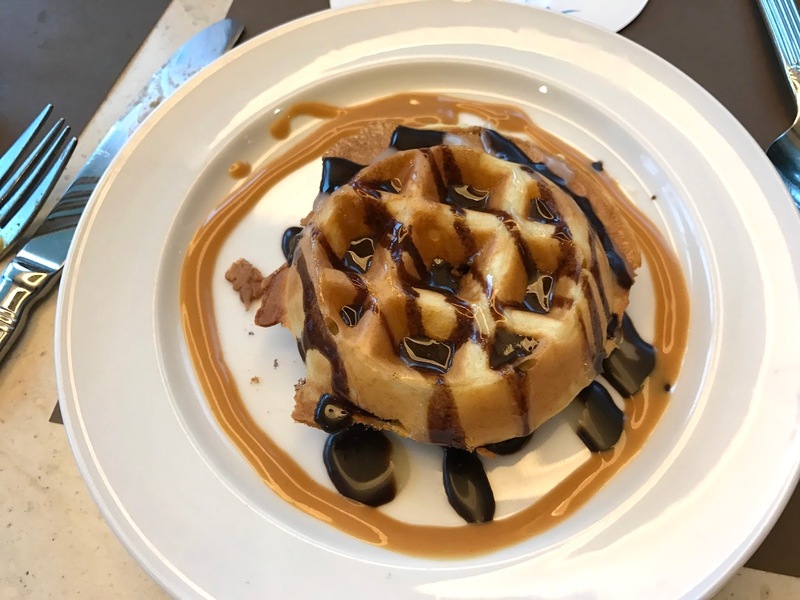 And we finished with a freshly made waffle. There were cakes, buns and croissants too which I'd forgotten to take photos of. 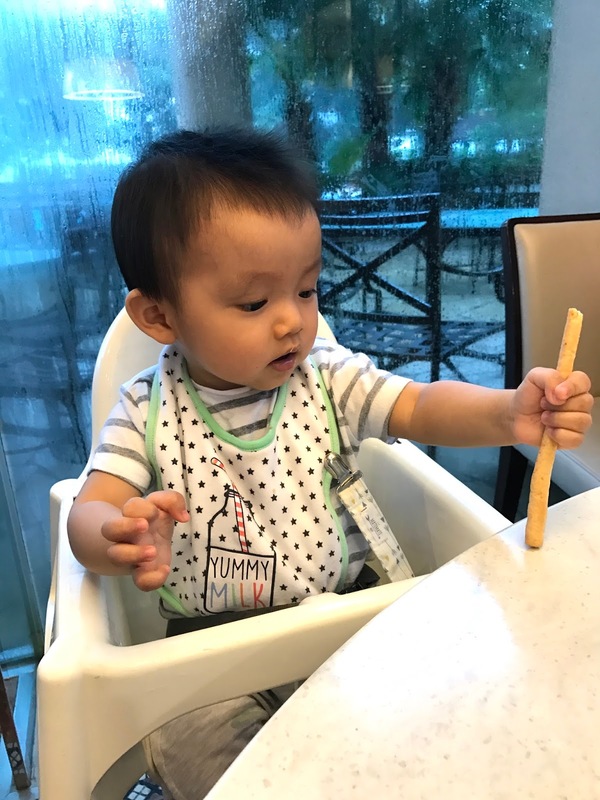 Isaac also enjoyed his breakfast. As the morning went on, the rain got heavier and heavier until it reached Black Rain warnings. Yesterday's beautifully sunny weather was a stark contrast to today's wet weather. 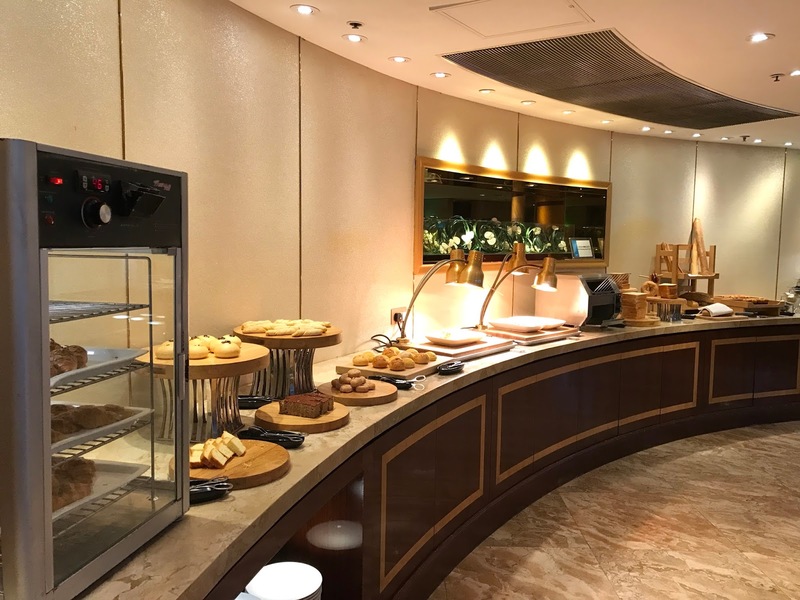 There are more food stations on the other end of the restaurant that I didn't take photos of. 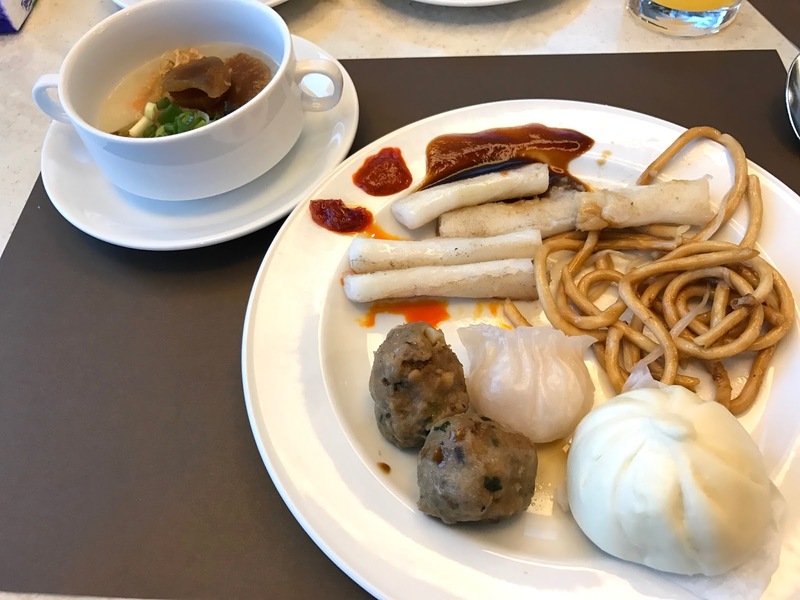 It was $238 (£24) per adult and for that price, there's a good variety of Western and Chinese food offered. And that ends our gastronomical eats at the Gold Coast Hotel. We are most definitely coming back again to stay in the future and we'll be working through the other restaurants next time! 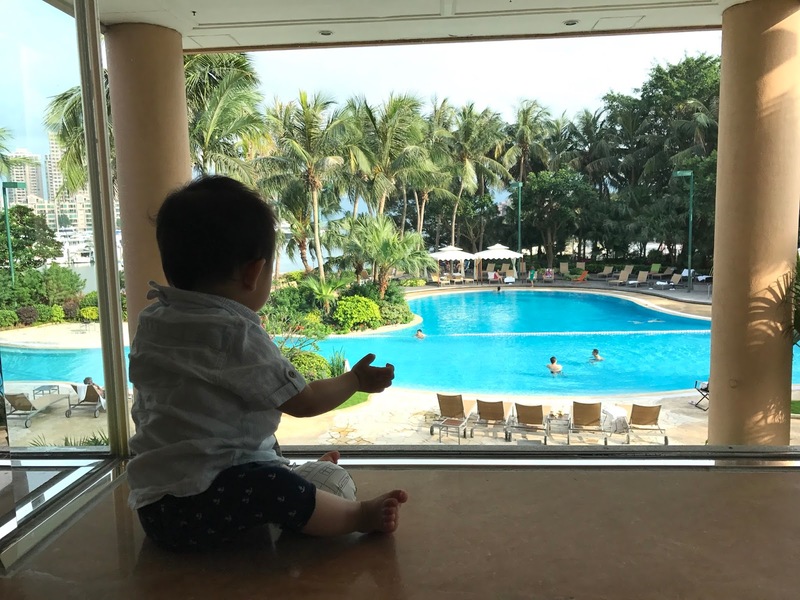 My parents, Isaac and I had such a wonderful time on our mini break and I can't recommend Gold Coast hotel enough. 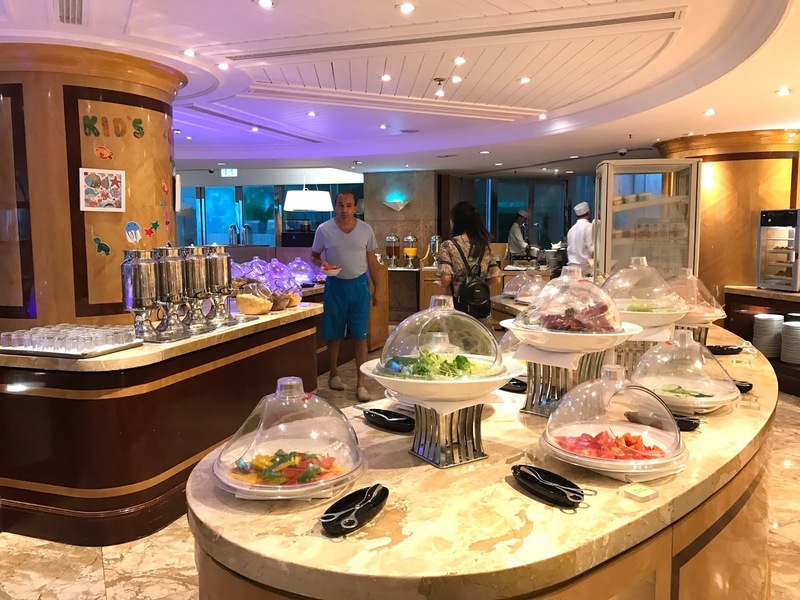 It was inexpensive to stay, the restaurants were all mouthwateringly good with reasonable prices, and with a beach, pool and piazza nearby, there really is no need to leave the immediate areas of the hotel. 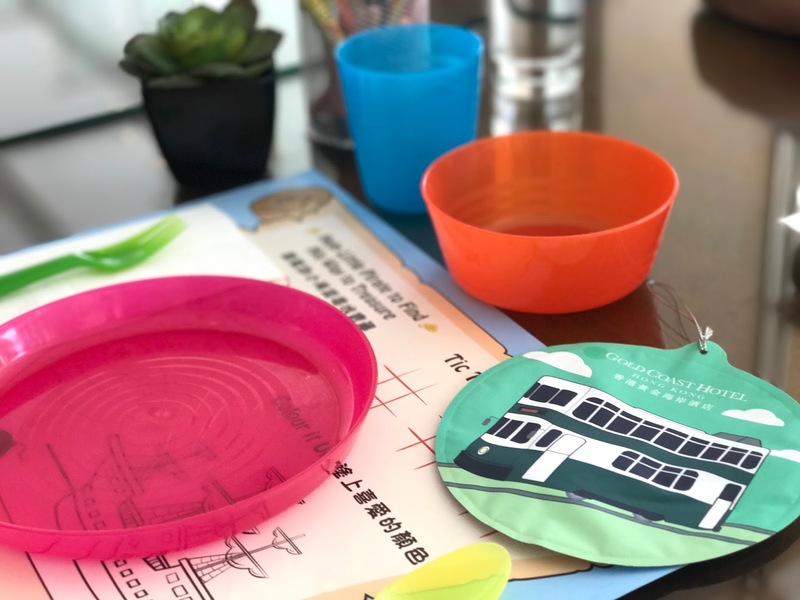 For older children, there's an adventure zone playroom, outdoor kids island, a water park, mini train ride and themed bedroom suites complete with matching themed afternoon tea. 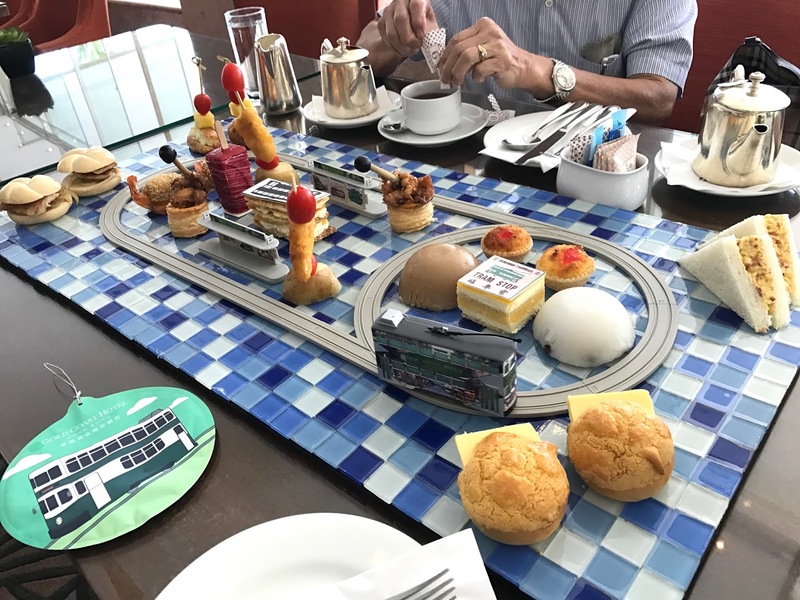 A big thank you to Gold Coast Hotel who looked after us most wonderfully and for arranging the beautiful Hong Kong tram themed afternoon tea. 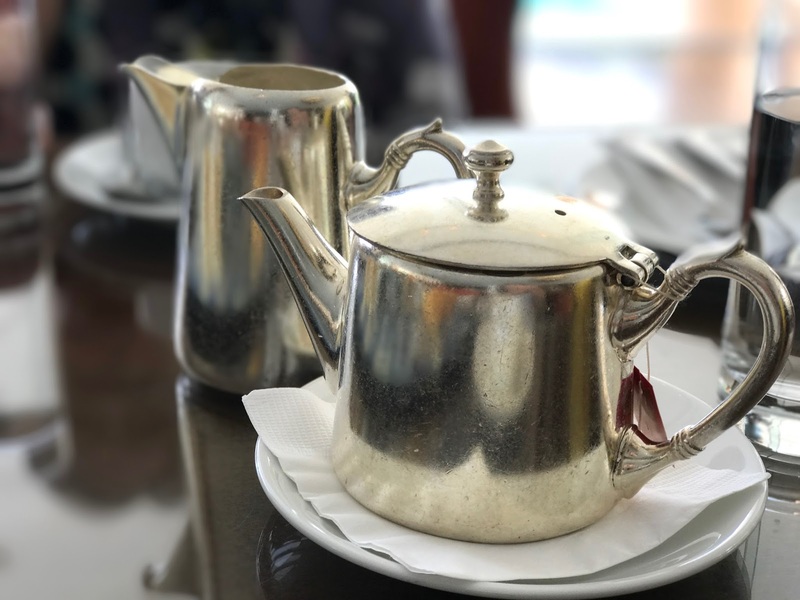 *We were invited as guests of Gold Coast Hotel for the Afternoon Tea. All the other meals in this post were paid for by myself and all opinions are my own and unbiased. This is my idea of heaven!! 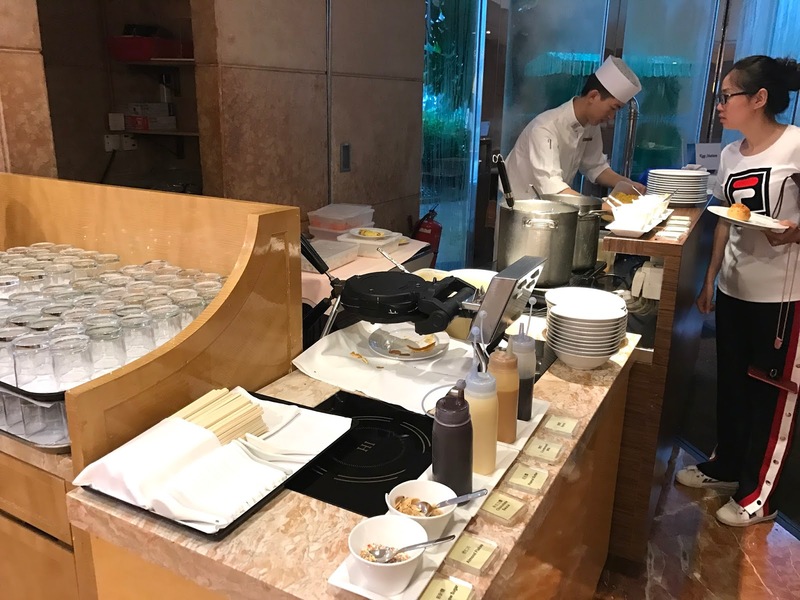 Looks of restaurants and you don't need to leave your hotel haha. Hainanese chicken is my fave, it's so hard to find good ones.